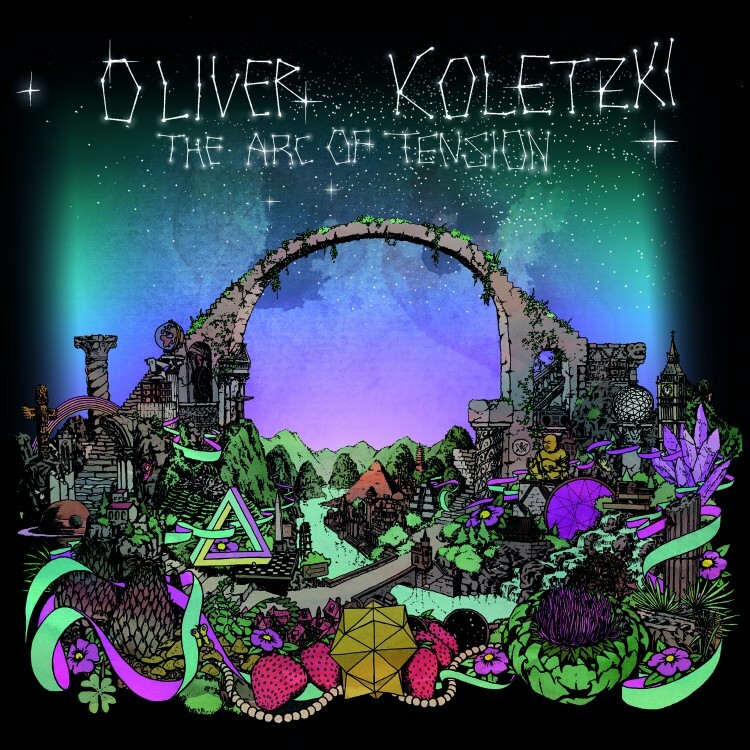 On his sixth album "The Arc of Tension" the Berlin based DJ, label owner and producer OLIVER KOLETZKI yet again presents his remarkable vision of contemporary electronic music, while he assumes the role of a storyteller. The Arc of Tension speaks to its listener as a singular, self contained work, which communicates by way of its natural flow and arc of suspense. The latter is mirrored not only in the multifarious narrative of the actual album, but can also be understood as evidence for its creator's long musical history. While Koletzki focussed on a diverse range of vocal collaborations on his previous long players, he now moves on to a different form of storytelling, rooted in the quiet confidence of a veteran musician, as well as the hectic lifestyle of a globally in demand DJ. The Arc of Tension is the psychonautic journey through the various continents of Oliver's consciousness. The quiet chirps and warbles, which initially unfold on the opener 'A Tribe Called Kotori', thus act as a loose associative bridge to 'Der Muckenschwarm', Oliver's big breakthrough hit of 2005. The first minutes of the album leave no room for doubt we are immediately locked into an autobiographical world of sound that knows how to captivate from the get go. The dreamy, exotic timbres of the downbeat tracks 'By My Side', Tankwa Town' and 'Byron Bay' penetrate our minds in a subtle yet purposeful manner. But soon the tension tightens and organic sounds one by one evolve towards a sterner, electronic cadence. The bittersweet neon synths of 'Spiritual Not Religious' pave the way for the complex rhythm of 'A Star Called Akasha', an early highlight carried by melancholic cellos and contemplative piano chords. The ultimate turning point follows with 'Through the Darkness'. Here, at the album's centre, Koletzki starts continuously upping the tempo and leads the way with his very own, melodic interpretation of today's techno Zeitgeist, which he has been shaping since 2015's 'Iyéwaye'. 'Planetarium', 'They Can't Hold Me Back' and 'Chaturanga' exemplify, moreover, that a fusion of delicate musicality and sheer force leads to impressively ecstatic results. With its rough guitar chords and the acidic chitter of the TD303, 'Power to the People' rings in The Arc of Tension's ending, until we fully take off into space, weightlessly propelled by the ambient drones of 'The Day We Leave Earth'. Ultimately, what lingers is the feeling that we are being granted a deep glance into the innermost being of an outstanding artist.